New Year’s Resolution: It’s all Greek to me. January is the first month of the Roman calendar. 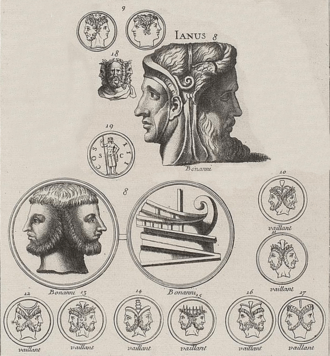 In 153 BC, the Romans created a mythical King Janus as the head of the Roman calendar. He had two faces, one to see the past and one to see the future. And my guess, the Romans started this tradition. How can I resolve to stop eating chocolates when I still have so much left-over from Christmas and still eating them? The stores have started displaying the valentine chocolates already. So there! King Janus is just a myth and so is new year’s resolution.